Professor Kathy Munro will take us on her journey of discovery having found the architectural original blue print of the Yeoville Water Tower, dated January 1913. The tower is an iconic structure. Its evocative form has been used for decades by photographers, painters and writers to conjure a sense of Johannesburg. So that it may be surprising to learn that until now its provenance has been a mystery. It comes to us from the firm of Aug. Klőnne of Dortmund. 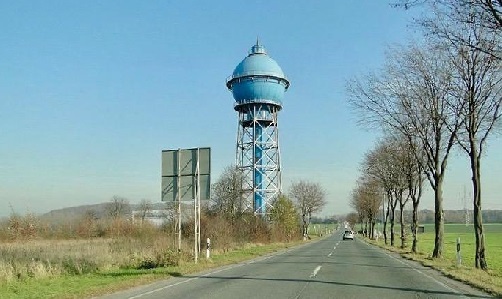 This lecture traces the origins of the Water Tower and places our water tower in a world-wide context as we find parallels and connections in countries as far afield as Germany, Mexico and China. Kathy Munro is honorary associate professor in the School of Architecture and Planning at the University of the Witwatersrand currently researches heritage and architectural history. She writes for the on-line Heritage Portal and is Vice Chair of the Johannesburg Heritage Foundation. Her work in Heritage has recently been recognized by the Heritage Association of South Africa with the award of a certificate of merit.